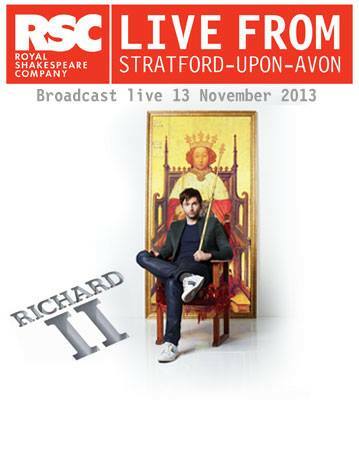 The Royal Shakespeare Company have released further tickets for every performance of Richard II at Stratford-upon-Avon. David Tennant has pulled out of his planned appearance at the 53rd Monte-Carlo Festival International de Télévision. 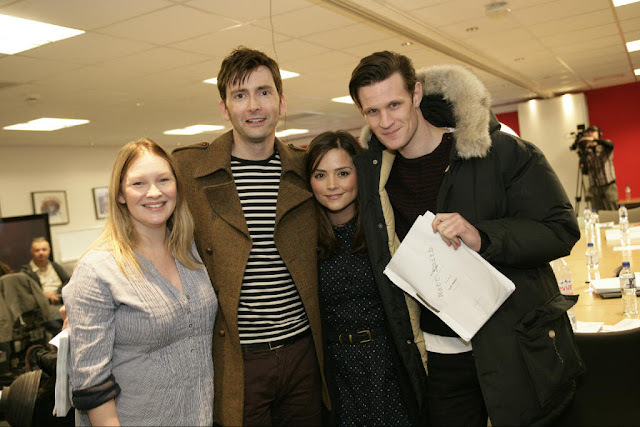 David was scheduled to appear at the Festival along with his Broadchurch co-star Olivia Colman and the series creator Chris Chibnall. French site AlloCiné have today published an updated guest list that confirms his non-attendance; Chris and Olivia are still expected to be present. Broadchurch has been nominated for a Golden Nymph award in the Mini Series category, while David Tennant and Olivia Colman have been nominated as Best Actor and Actress respectively. The awards will be announced at the climax of the Festival which runs from the 9th -13th June and are presented to the best programmes and television actors from around the world, as decided by a panel of actors and television professionals. 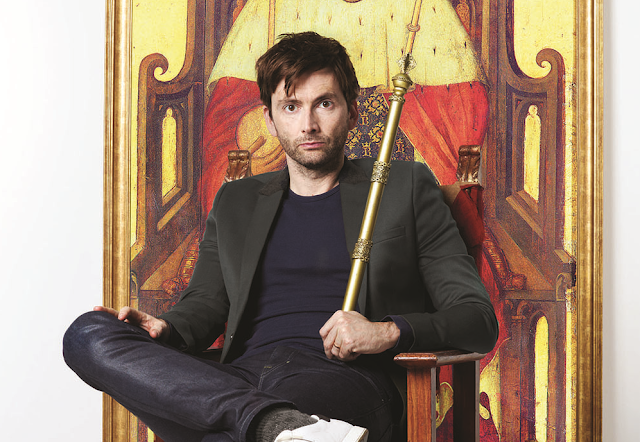 The Royal Shakespeare Company announced earlier this week that the 13th November performance of Richard II starring David Tennant will be filmed and streamed live to cinemas around the UK. The recording will also be streamed to 1000 UK schools on November 15th. The production will also be screened in cinemas in North America, Northern Europe, Japan and Australia. The RSC have informed us that the cinema locations so far announced are just the first wave of Picturehouse venues. By mid-June they hope to have released information about other cinema venues worldwide, including broadcast times which will vary by territory. 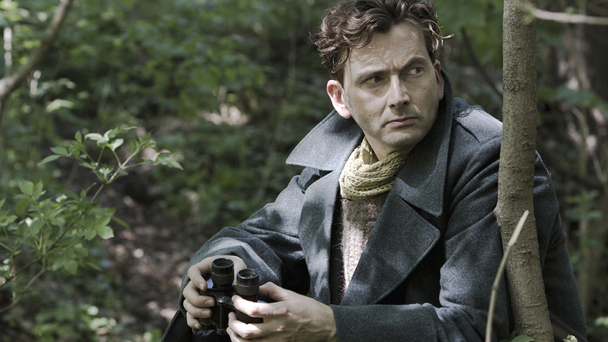 David Tennant's wartime drama Spies Of Warsaw featured on the French entertainment website Télérama. Read a translation below. David Tennant: The Scot Who Leaves Us GobsmackedTV drama - Hamlet - Wizard in Harry Potter ... the BBC star can play anything. After Doctor Who, he restyles his hair to spy in a TV movie on Arte. The hero of the drama Spies Of Warsaw is a fake diplomat and in truth a secret agent who, in the late 1930s, who crosses the borders of Central Europe in search of confidential information on the weapons of the Third Reich. Galant, smooth talker and an (almost) effortless charmer, Lieutenant-Colonel Jean-Francois Mercier is all French lover. Except that he is played by an actor who is 100% Scottish. 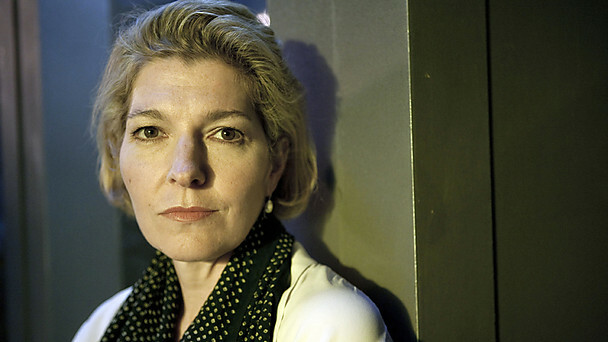 Jemma Redgrave has been talking to What's On TV about reprising her role as Kate Stewart in the Doctor Who 50th Anniversary Special, the secrecy of which she likens to joining MI6! Entertainment news site Digital Spy recently asked it's readers which cult event of 2013-14 they were most excited about and, perhaps unsurprisingly, the Doctor Who 50th Anniversary Special came out on top with 77.51% of the vote. The special episode which will see Matt Smith and David Tennant team up as the Eleventh and Tenth Doctors is more eagerly anticipated than the return of 24 and In The Flesh.. The full results can bee seen here. Find out more about the Doctor Who 50th Anniversary Special here. The Daily Star today features an article regarding the so called 'Telly Tourist' fans who are inspired by their favourite TV Shows to visit the locations their much loved characters frequent..
Two of David Tennant's shows are mentioned, with the locations for both Broadchurch and Doctor Who pulling in the crowds. 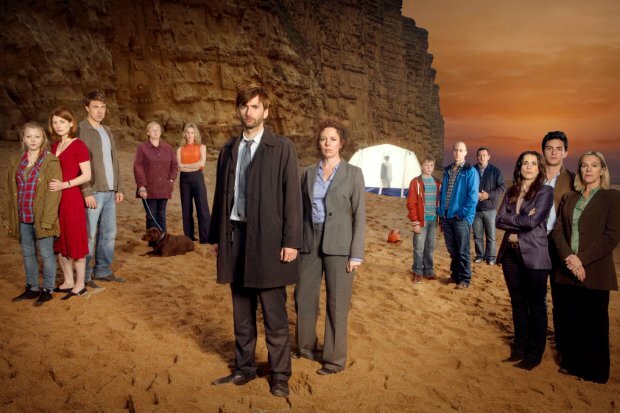 Since Broadchurch aired on ITV earlier this spring, fans have flocked to Dorset's West Bay. The Visit Dorset tourism website has seen three times as many visitors and you can even take a walking tour to the beach where young Danny Latimer’s body was found in the drama. 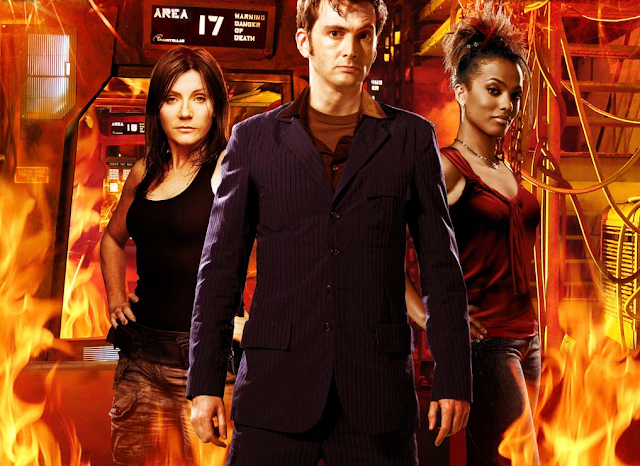 First Broadcast on 19th May 2007. Running Time: 45 Minutes. Viewing Figures: 7.19million. The winners of the 2013 Rose D'Or Awards are announced this evening in Brussels. Twenty Twelve narrated by David Tennant is one of the three nominations in the Sitcom category. The Rose d’Or Awards pay tribute to the outstanding achievements in quality entertainment programming and encourage continued excellence from producers, and broadcasters worldwide. Representatives from over forty countries will be taking part in the event tonight, while nominees have been taken from over thirty countries. The ceremony takes place as the climax of the three-day 2013 Media Summit: A EUROVISION and EURORADIO event. Jordan-based multimedia and entertainment company Rubicon Group Holding (RGH) were present at the Cannes Film Festival last week. 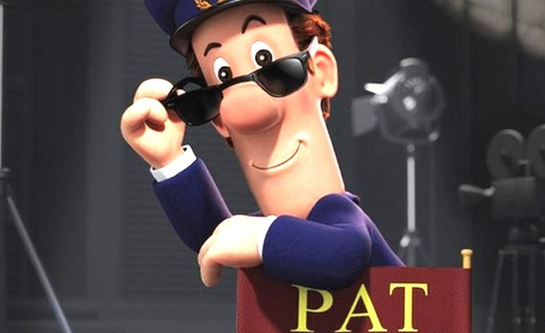 The movie finds everyone’s favourite postman coming face-to-face with the temptations of money, status and a shiny new suit when he enters a national TV talent show competition. The voice cast includes Stephen Mangan (as Pat), David Tennant, Jim Broadbent and Rupert Grint Scripted by Kim Fuller and Annika Bluhm,and directed by Mike Disa, it is due for cinematic release in the winter of 2013. The BBC America series of Doctor Who 50th Anniversary specials celebrating each of the eleven incarnations of the Doctor continues in June with an exploration of Colin Baker's time in the role. 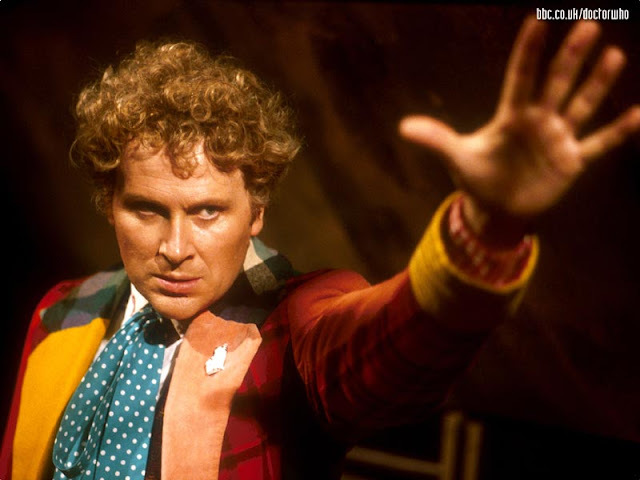 The show is followed by the screening of the classic Sixth Doctor adventure Vengeance On Varos. 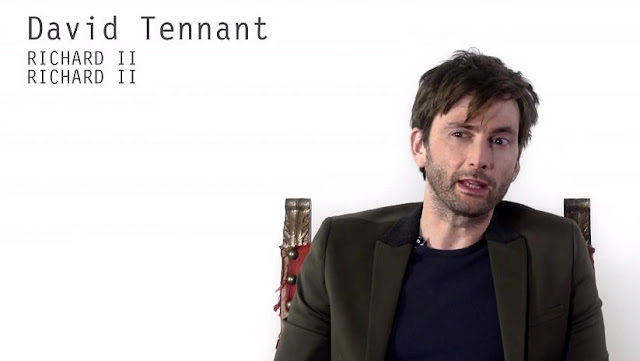 David Tennant has contributed to all of the specials in the series so far. 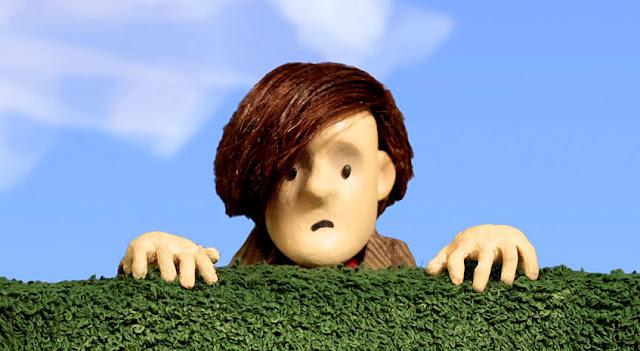 Episode 3 of fan-created animation The Doctor Puppet is now online. Puppet maker Alisa Stern created the mini-Eleventh Doctor, who, together with his friends and other incarnations, has embarked in an online adventure. Yesterday's news thatRichard II would be broadcast live to cinemas in November (see here for our originial news blog) has been reported by a number of news outlets. Here's a collection of links to the main coverage. David Tennant Richard II to be streamed to schools - BBC NewsDavid Tennant's performance of Shakespeare's Richard II to be broadcast live in Cinemas - The GuardianDavid Tennant to appear on silver screen as Richard II- Radio TimesDavid Tennant's 'Richard II' play to be screened live at cinemas, schools - Digital SpyRSC to screen Richard II to UK cinemas and schools- The StageDavid Tennant's Shakespeare performance to play live in cinemas - The GuardianDavid Tennant's Richard II is at a cinema near you - The Evening StandardRSC, Picturehouse to broadcast live productions - Screen InternationalRoyal Shakespeare Company to Broadcast Productions Live from Stratford-upon-Avon - PlaybillFind out more about David Tennant's Richard II here. Two new Doctor Who books are due for publication later this year.. 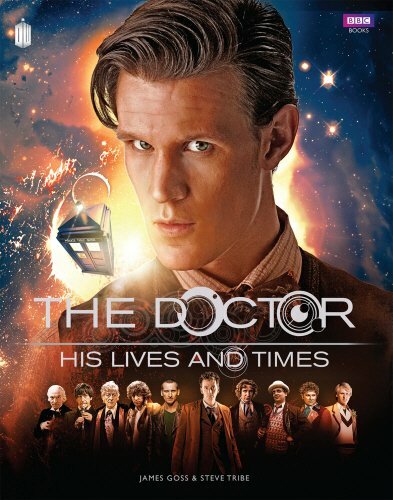 The Doctor - His Lives and Times is due to be published in the UK on 26th September 2013. In the approach to the US première of Broadchurch, BBC America now have a dedicated webpage forthe drama on their website. At present the page consists of no more than a brief synopsis and the teaser trailer, but keep checking back as more content will be added over the next few weeks. Broadchurch is an eight part drama created by Doctor Who and Torchwood writer Chris Chibnall which centres on the effect on a small UK seaside town when a schoolboy is found murdered on the beach. David Tennant and Olivia Colman star as mismatched police detectives Hardy and Miller whose task is to find the killer while around them suspicion, fear and grief threaten to tear the small community apart. Arthur Darvill, Jodie Whittaker, Andrew Buchan and David Bradley also feature in the series that had millions in the UK glued to their TV screens this spring. 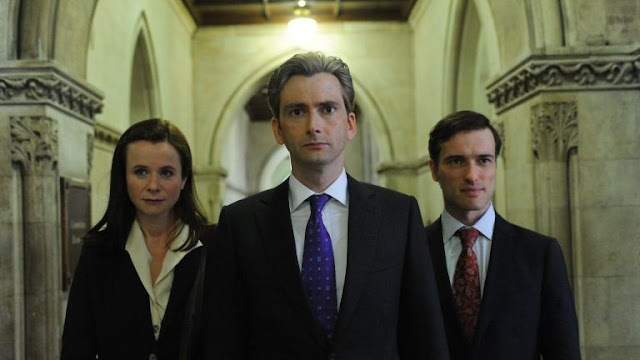 BBC Worldwide in Australia has picked up a number of new series from Passion Distribution including The Politician's Husband starring David Tennant and Emily Watson. The move follows the company's recent merger with Mentorn International. The three part drama will be shown on BBC UKTV - broadcast date to be confirmed. The Politician's Husband written by Paula Milne explores the consequences for a political marriage when the career of the wife stars to eclipse that of her husband. David Tennant plays MP Aiden Hoynes, who loses his cabinet position and the respect of his colleagues following a failed leadership bid. When his wife Freya (Emily Watson) is cynically offered a cabinet post to humiliate him he embarks on a campaign to get his revenge and restore his own fortunes. However, Freya is reluctant to step back now that she has had her own taste of power, while his former best friend Bruce Babbish (Ed Stoppard) attempts to manipulate the situation to his own advantage. With yesterday's announcement that Richard II would be broadcast live to cinemas in November, Gregory Doran, the artistic director of the Royal Shakespeare Company, has spoken to the Guardian about the challenges of conveying the intimacy of live theatre to the broader medium of film. He said that it was something that he had been planning for a long time. "I've been thinking about this ever since Antony Sher and I filmed our production in South Africa with Anthony Sher as Titus Andronicus," he said. "It's a magnificent opportunity to share the experience of live theatre with the widest possible audience, but I think it's very important that we find a way of re-imagining it for film; it mustn't just be like having a security camera peering at the stage." 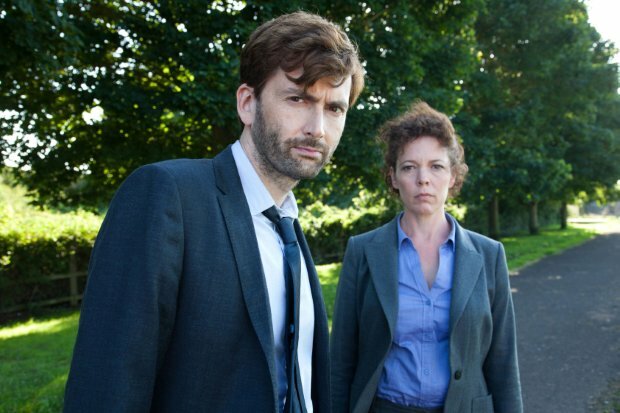 Broadchurch has gone straight into the Top 10 in the Official DVD Chart, compiled by the Official Charts Company. The three-disc box set went into the chart at number 9 following its release a week ago. Last week distributors Acorn DVD predicted that the title would sell 18,000 copies in its first week and placed it among the top five of the week's releases. In fact, it was the third most popular new release, behind Django Unchained and the fifth series of True Blood. 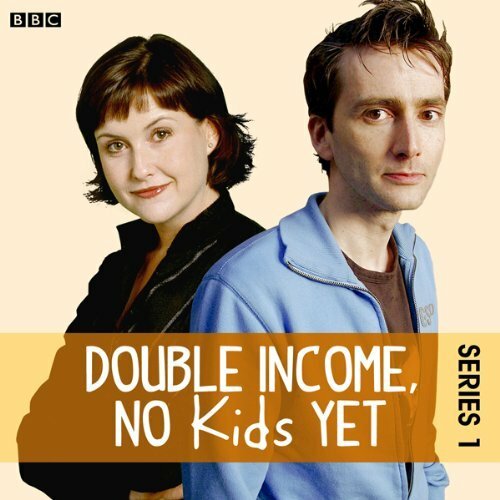 BBC Radio 4 Extra are repeating series 1 of David Tennant's classic radio comedy Double Income , No Kids Yet starting from next Monday. The radio sitcom was written by David Spicer and ran for three series between 2001 and 2003. David Tennant and Elizabeth Carling play Daniel and Lucy, an urban professional couple who enjoy their childfree life along with their best friends Andy (Tony Gardner) and Katie (Meera Syal). However, Andy and Katie have a bombshell to drop. Can Daniel and Lucy continue to buck the trend or will they too be tempted to put their principles aside? Presenter Paul O'Grady is still waiting for the return of a pair of trousers he lent to David Tennant over two and a half years ago. "I remember when we had David Tennant and micro pigs on the show. I gave him one and of course his pig weed like a fire hose and he was soaked. I had to lend him my jeans to go home - the next time I see him I'll ask him where they are. "I didn't notice them in 'Broadchurch' so they are probably in the TARDIS hanging off!" 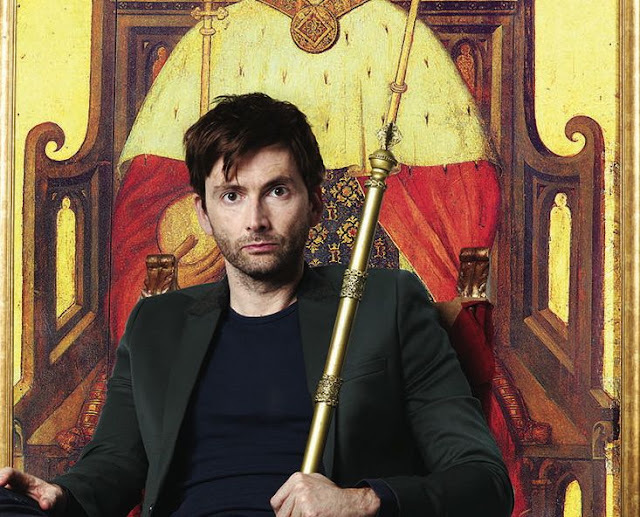 The RSC have announced booking details for the live cinema stream of Richard II starring David Tennant. The play will be filmed during the November 13th performance and streamed live to cinemas in the UK in a new co-production with Illuminations and Picturehouse Cinemas announced today. Priority Booking for Picturehouse Members and RSC Members opens on 3 June at Picturehouse cinemas while public booking opens 17 June.Click here for details of participating screens, but check back as more locations will be added soon. The production will also be streamed worldwide on November 15th - more details to follow. The Royal Shakespeare Company have confirmed that Nigel Lindsay will make his RSC debut as Bolingbroke in their forthcoming production of Richard II. He joins David Tennant in the title role, Michael Pennington as John of Gaunt and Oliver Ford Davies as the Duke of York. Gregory Doran will direct. Further casting is to be announced. 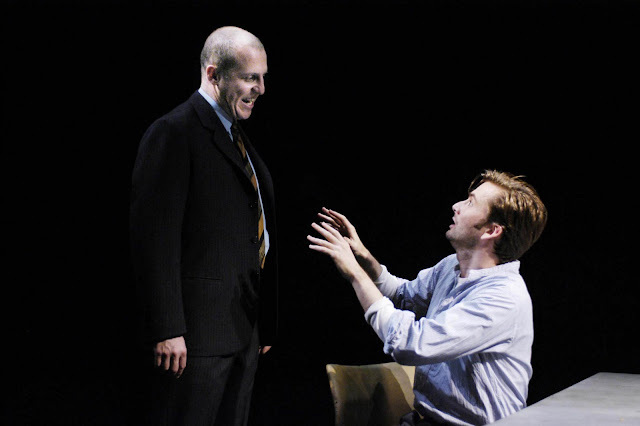 Nigel Lindsay previously appeared alongside David Tennant in the 2003 production of Martin McDonagh's The Pillowman at the National Theatre. His other theatre work has included The Homecoming, Dealer's Choice, Guys And Dolls, Broken Glass and in the title role of Shrek The Musical at the Theatre Royal Drury Lane. He has also appeared in Chris Morris' award winning film Four Lions and his TV work has included The Fear, Spooks, Silent Witness and Jam And Jerusalem.